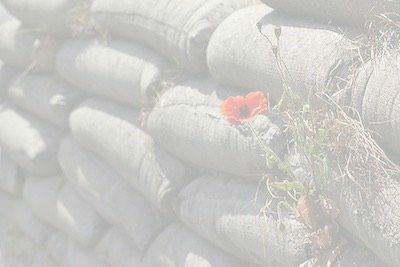 I am reflecting on the contributions made by Brampton families to the Great War of 1914 – 1919. It seems only right that I should begin by opening a ‘Roll of Honour’ which pays tribute to those young men who paid the ultimate price. I don’t have the ‘luxury’ of simply visiting the war memorials in order to identify soldiers names, and in any event I want to understand something of the background and the families of those brave men. I have been surprised at just how difficult it is to draw together a brief outline of the military service of these men. So many records were destroyed during the 1939 – 1945 conflict that in many cases all that remains is a simple record of their death. These ordinary men, from ordinary families played an extra-ordinary role in what remains one of the most horrific and deadly conflicts in human history. It seems to me to be a dreadful omission and an injustice that we have not done more to recognise not only the service and sacrifice of the men themselves, but also their families who suffered pain, loss and grief beyond our imagination. Parents, siblings, wives and children.. Three generations directly affected by lengthy separations, the fears and uncertainty resulting from a lack of real news and of course the terror of learning that a loved son, husband or father had been injured, was missing or killed. For these families, the difficulties of daily life were also beyond our comprehension. They were working to sustain their families in the absence of the breadwinner, often in conditions we today would consider inhuman. In addition, supplies were required for the war effort. In the case of Brampton, coal, steel, munitions and wound dressings. All in quantities previously unimagined and with a hugely diminished workforce. I shall continue adding to the Roll of Honour, and of course to the personal and family details over the coming weeks and months. As time permits I shall also be extending the family information to include further details of siblings, children and of course the ancestors of these men. If you are able to add anything to what is already shown, please contact me.. I need all the help I can get! My uncle George Boler served in the Royal Navy. I have his war record and medals. Two of which were the Atlantic Star and the Africa Star.